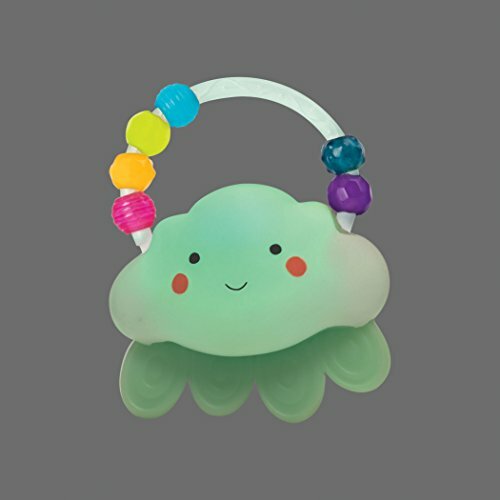 the rain-glow squeeze from b toys is a beautiful glowing rattle that shines with the colors of the rainbow! Just give it a shake to see it glow. 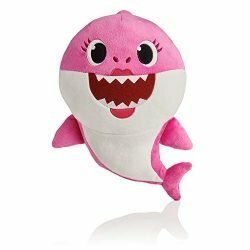 A friendly face and a smooth velvety finish on an adorable cloud rattle. 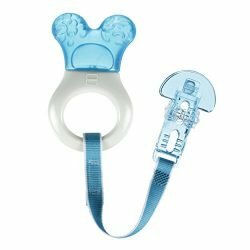 Handle is tiny hands friendly, with 6 colorful rainbow beads that make a soft pitter-patter rattle when shaken. 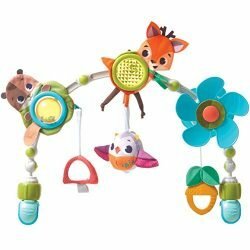 Beads also feature lines, dots and patterns, so baby gets to explore and discover multi-textures. recommended for babies 3 months and up. 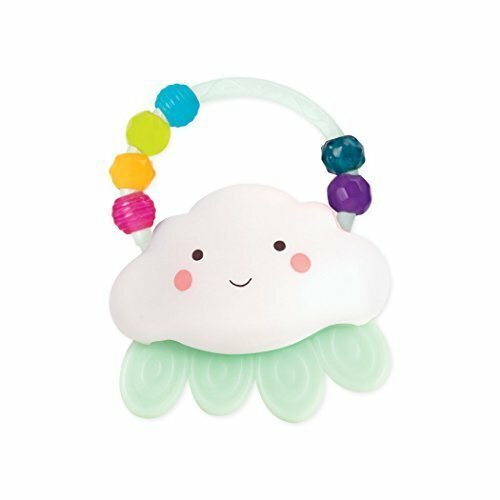 Comes with 1 x AAA batteries.Light-up Cloud rattle: colorful light-up rattle in the shape of a cloud with textured raindrops. 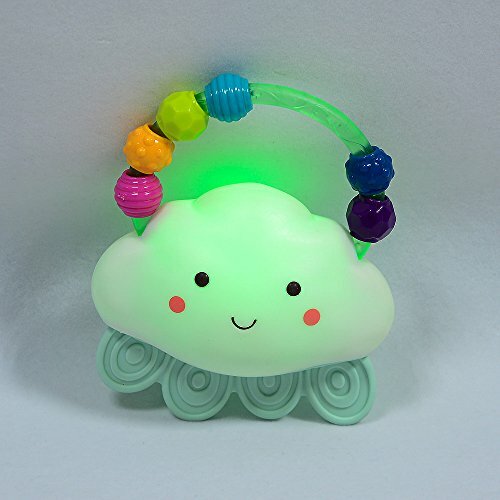 Soft Glow: This Cloud rattle glows with the colors of the rainbow. A little shake is all it takes. Colorful beads: The 6 beads create a beautiful rainbow on the handle and a pitter-patter rattle. Textured drops: soft and textured raindrops are soothing and safe for little nibblers. Easy-to-grab: handle is easy to grab and hold, even for tiny hands. Shake away little one! 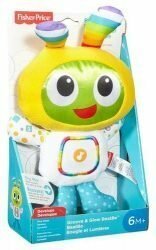 Worry-free: this baby rattle toy is phthalates and BPA free and made of safe materials. Eco-friendly: packaging is 100% recycled and recyclable, with soy-based inks. 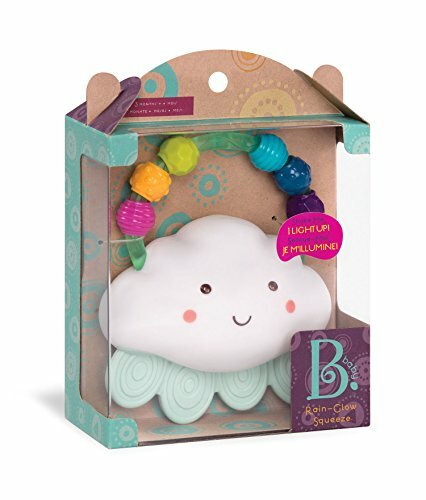 Age limit: rain-glow squeeze from b toys is recommended for babies 3 months and up.